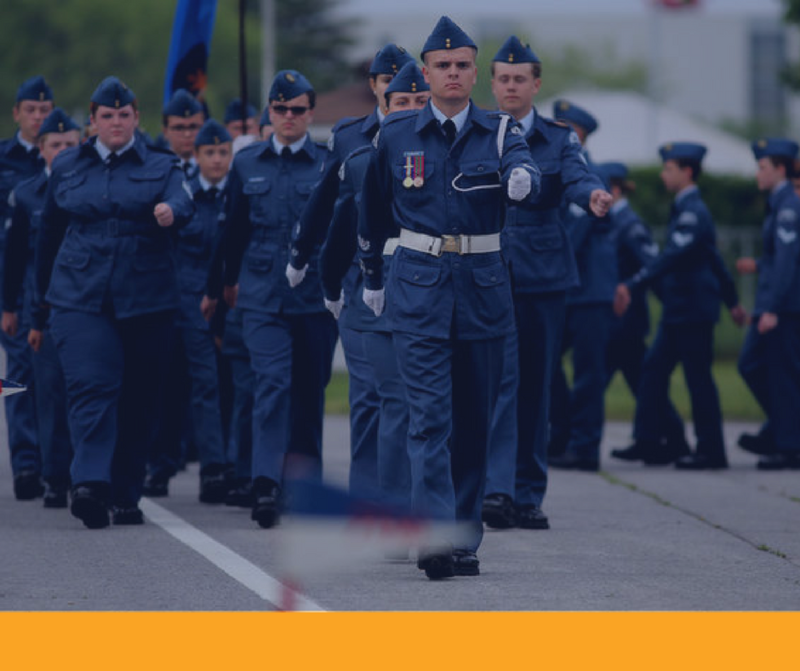 The Basic Drill and Ceremonial (Air) Course provides cadets an opportunity to build on drill learned at the squadron, participate in advanced drill and ceremonial activities, and to develop leadership skills and knowledge; while performing the role of a team leader. Activities include commanding a squad on parade, drill with arms, flag drill, and marksmanship training. Cadets applying for this course should be 13–14 years of age, and have successfully completed Proficiency Level Two.